When I read an article recently about how Google was going to penalise mobile-unfriendly sites it struck me how all-powerful Google now is. A single pronouncement on a blog for developers sent Web owners all around the world scurrying to their advisors asking hopefully: 'Is our site mobile-responsive?'. Google officially announced that from April 21 it will be using 'mobile-friendliness as a ranking signal'. Translation: If your site is mobile-friendly it will rank higher in searches made on mobile devices than sites that are not. To test the mobile-friendliness (according to Google) of your site go here. Responsive design is the implementation favoured by Google and it's the way we build mobile friendly Websites. If your site has failed the Google test, you need to contact us now! Just reply to this email. Not only does Google dominate search, the Chrome browser now is used by more than twice the number of Internet Explorer users (all versions), the next most popular. Other Google services are part of the fabric of the Web world as we know it: YouTube, GMail, Google Maps, Google Calendar, Blogger, Google Analytics and so on. Many consider Google a monopoly and in fact the European Commission may be close to laying antitrust charges against the company. 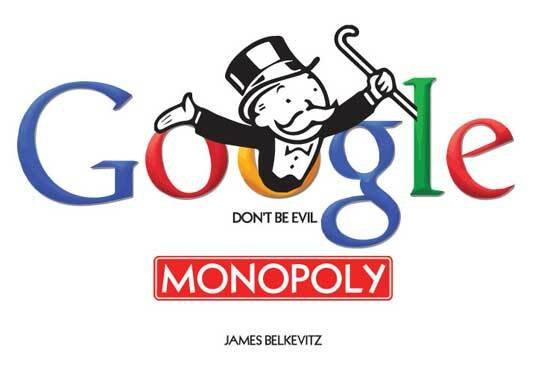 PayPal founder Peter Thiel knows that Google is a monopoly but thinks it's not a bad thing! However you see it, have no doubt that if (all other things being equal) your Website IS mobile friendly and your competitors aren't, more people will see yours. Google has that sort of power.